Does Harmony Brokers act as a buyer’s agent as well? We do! We love showing homes to buyers and their families. We have agents that specialize in first time homebuyers as well. No, the sellers pay any commissions that are due. You should never be asked from any agency to pay for this service. We are available to show you homes when it is convenient for you. We are licensed and insured to enter any properties that are for sale and oftentimes are aware of properties faster then an individual would be. We work for you and make sure you are looking at properties that would fit your needs. Do I need a buyer’s agent if I am buying new construction? We absolutely recommend taking us along. There is a lot to know and we can simplify it for you. Our oath of fiduciary responsibility will protect your earnest money and help negotiate the contract. Builders are busy and oftentimes the buyer gets overlooked because they are busy building homes. We make sure that your building process stays on task and your best interest is always our priority. Does Harmony Brokers offer financing as well? We do. We have a unique model in we do loans as well as real estate. Do we need to use HB for financing? You do not. By law, you can pick who you want to work with for your loans and title work. Who handles the offer and all the paperwork? Our team at Harmony Brokers, we work together to make sure everything runs smoothly when you are purchasing a home. I am not ready to buy yet but will still like to be kept up to date on properties can someone send me updates? Absolutely, we can set you up on the email drip. Any home that becomes available on the MLS will send you a notification immediately. CLICK HERE TO SIGN UP FOR EMAIL UPDATES. Your lender, whether it’s us or someone else, will go thru the pre-qualification process with you to determine what you can afford. Do I need a pre-qualifying letter? Yes, Northern Colorado’s housing market is booming. Any offer we want to put on a home you like needs to be accompanied by the pre qualification letter. How do we know how much to offer in this competitive market? After we find the home you want to purchase, we will do a complete market analysis to make sure the house is worth what they are selling it for. What if the house we want has multiple offers? Multiple offers on properties for sale in Colorado is all too common. This is especially true if the property is under $350k. Some offers will have escalation clauses, flexibility with closing dates, full cash, elimination of inspections, coming to the table with the cash difference from the appraisal, etc.  Harmony Brokers wants to protect you and your investment during the buying process. It is not wise to spend more on a home than what it will appraise for. Each transaction is different. We want to partner with you on the journey of finding your perfect home.